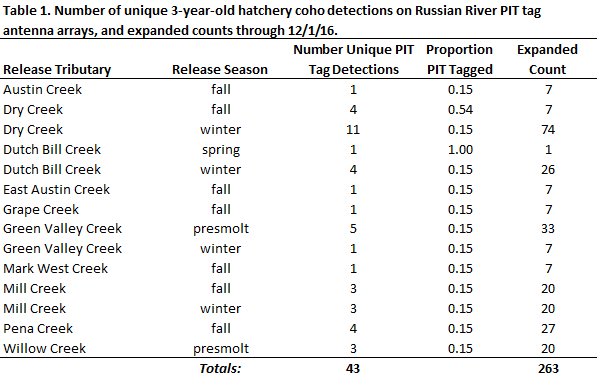 With the early rains, UC biologists began detecting adult coho in the Russian in October this year, with an estimated count of 326 passing through the mainstem of the river at Duncans Mills as of December 1 (see Tables 1&2 below for information on release groups). Though it's still early in the season, this year's estimate is already much higher than last year's total of 192 returning adult coho. Despite the fact that the tributaries became connected to the mainstem in late October, we have only started seeing adults spawn in the tributaries during the last couple of weeks. 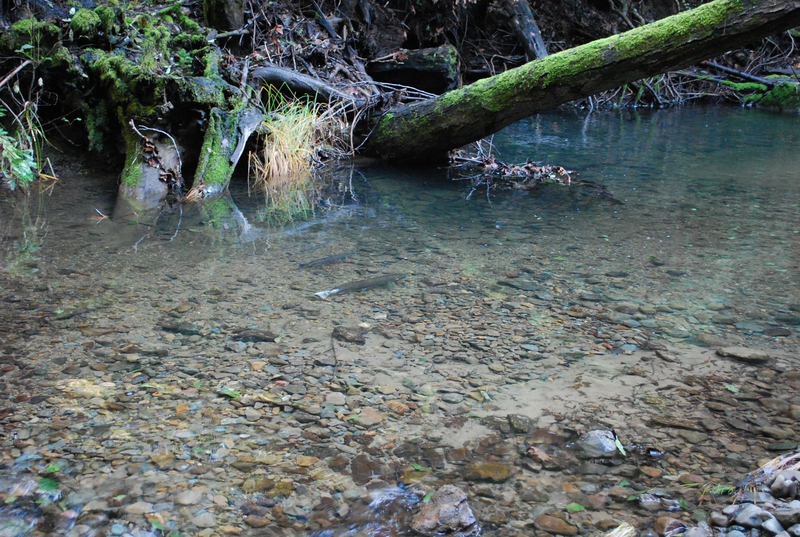 UC and the Water Agency have now completed three rounds of redd surveys on Coastal Monitoring Program reaches in 26 Russian River tributaries and the majority of the spawning activity was observed last week in the Dry Creek watershed (see map below). And there is some exciting news on Mill Creek! 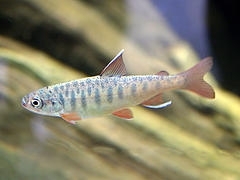 As a result of a passage barrier remediation project implemented by Trout Unlimited, Prunuske Chatham, Inc, National Ocianic & Atmospheric Administration, California Department of Fish & Wildlife, and Sonoma County Water Agency this past summer, adult coho are now able to access 11 miles of prime spawning and rearing habitat upstream of a former flashboard dam. Learn about the Mill Creek project. 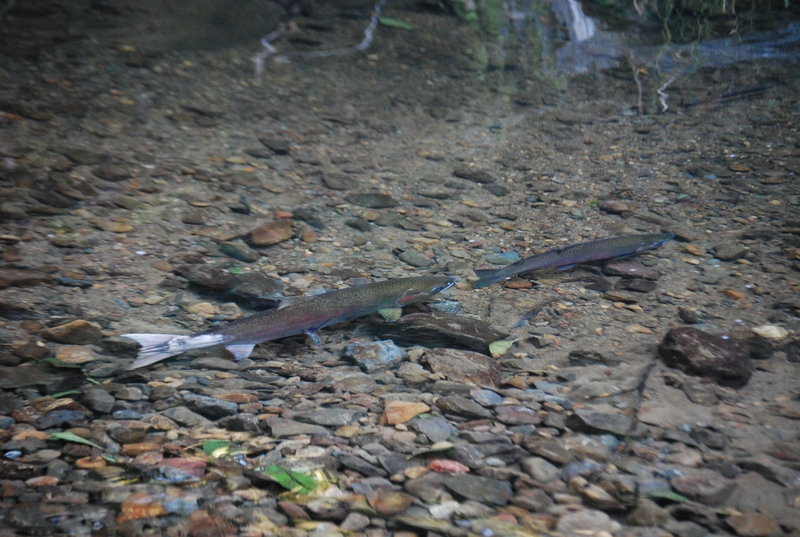 We have already documented coho spawning upstream of the project site in habitat where their offspring should be able to thrive next summer. Coho salmon female and jack spawning on 12/3/16 upstream of Mill Creek Dam Fish Passage Project. 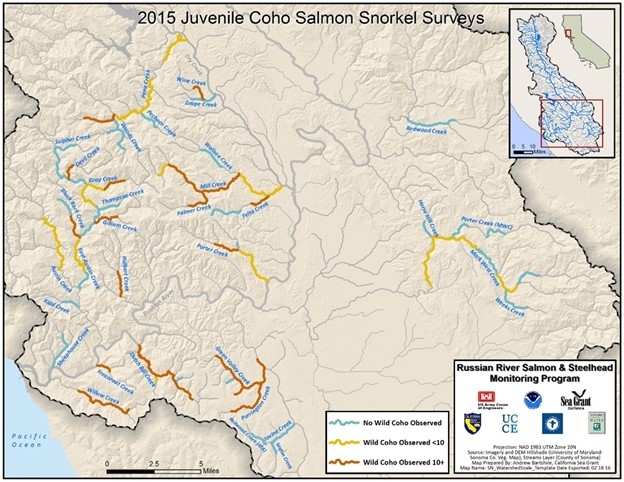 To learn more, visit Monitoring Salmon and Steelhead in the Russian River. 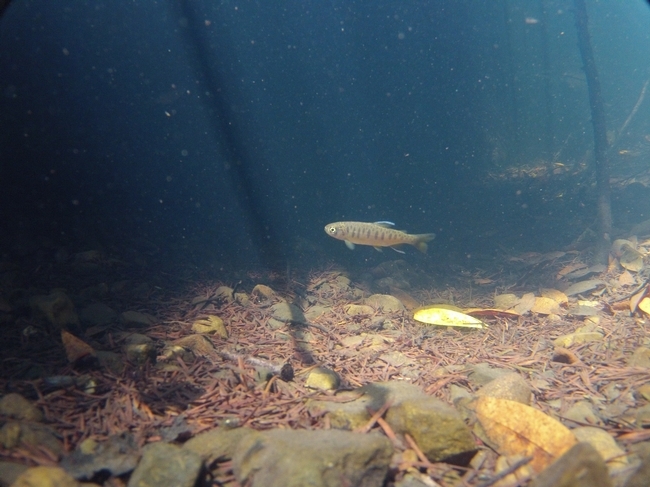 A juvenile coho salmon observed during a snorkel survey. Researchers with California Sea Grant and the Sonoma County Water Agency have seen promising results from this year's summer snorkeling surveys. 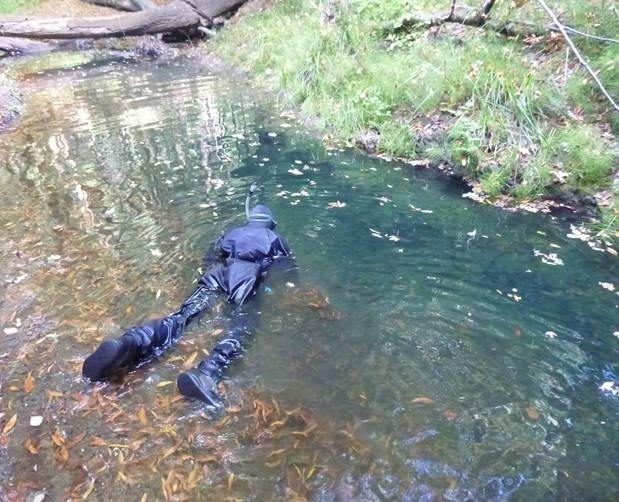 The joint snorkeling effort, funded by the US Army Corps of Engineers and the California Department of Fish and Wildlife, was in full swing in July, with biologists conducting surveys in 31 reaches of streams throughout the Russian River Basin. 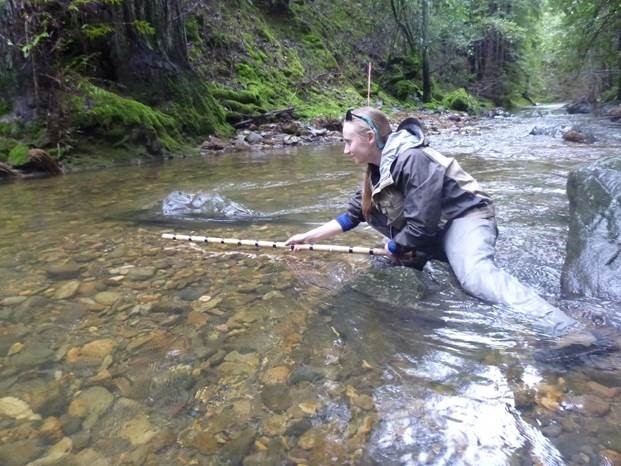 These surveys are important because they inform researchers how well salmon and steelhead populations are recovering and where successful spawning occurred in the winter. 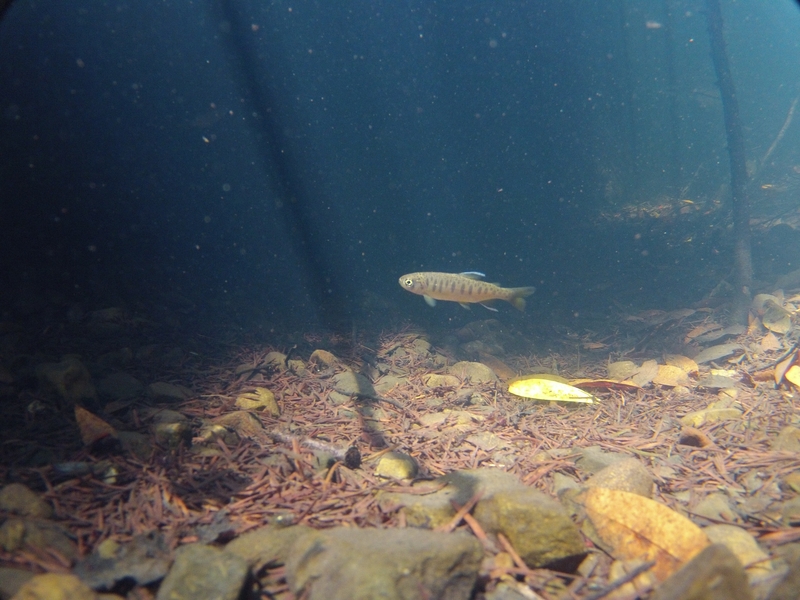 Wild juvenile coho salmon have been observed in 17 of 33 streams (52%) with approximately 4,000 individuals observed so far. We hope to observe even more as the surveys continue through August. 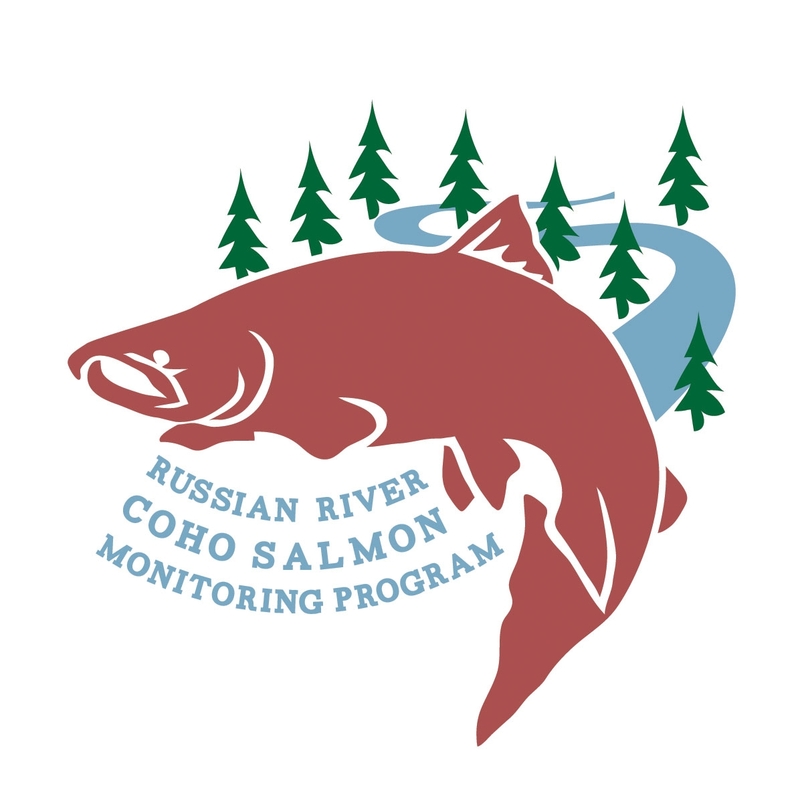 For more information, visit Russian River Coho Salmon Monitoring Program. 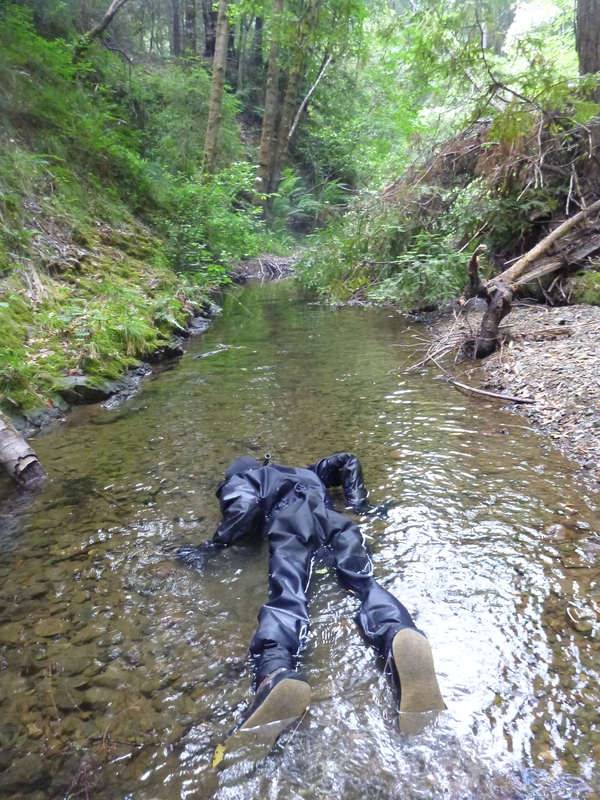 A biologist snorkels a stream to look for juvenile salmon and steelhead. 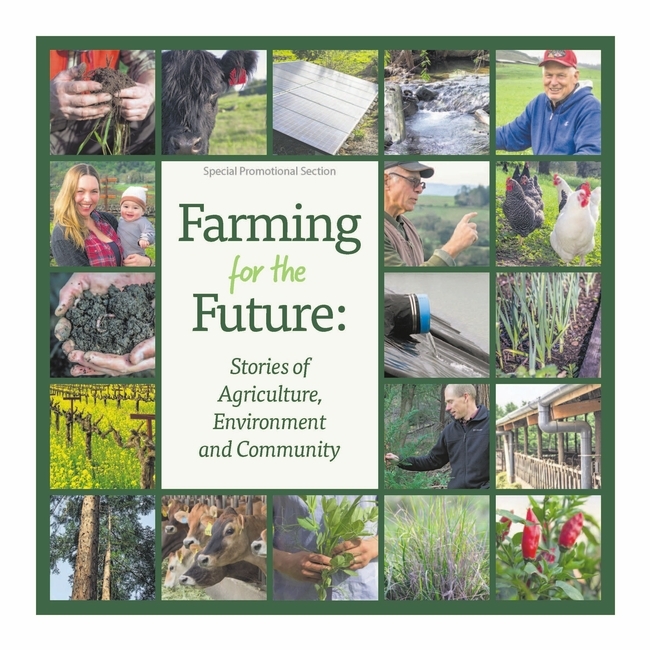 Stories of Agriculture, Environment and Community. 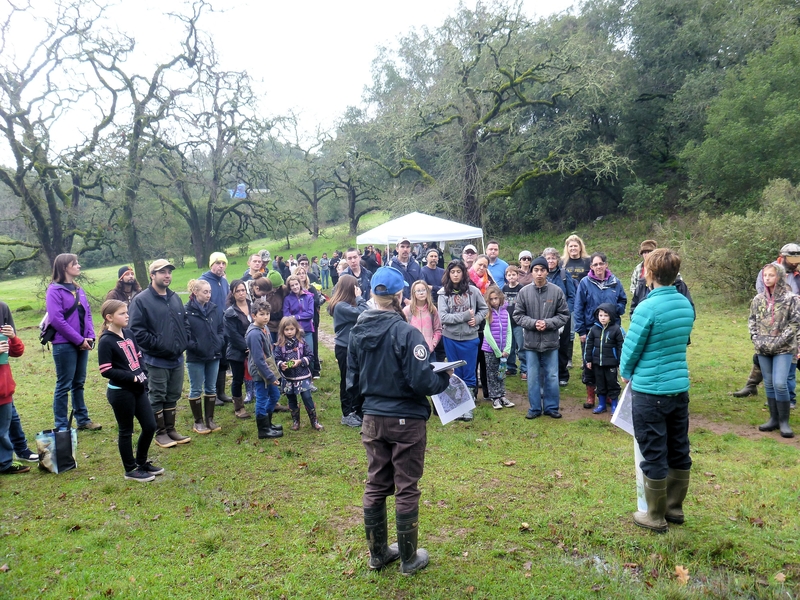 Learn about six Sonoma County families who, in their efforts to operate productive and profitable operations have partnered with Sonoma County farming organizations to give back to the land, environment and community. 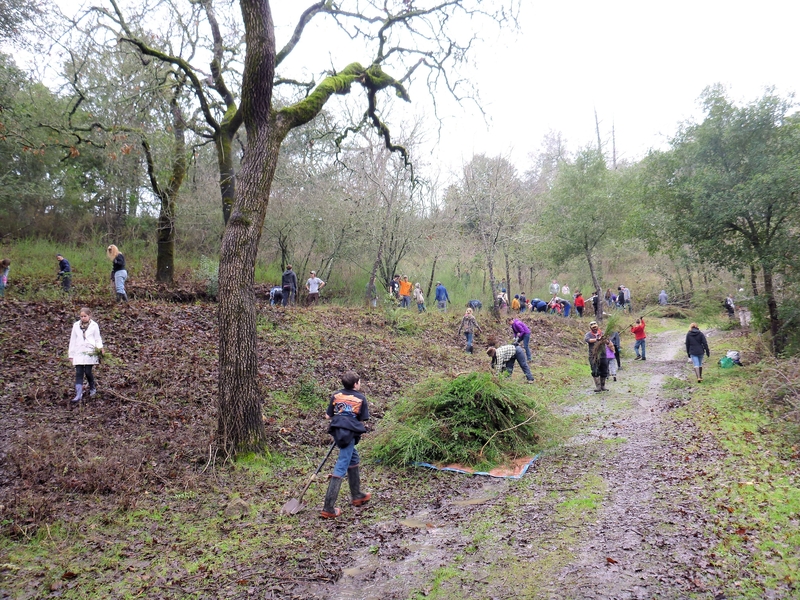 On Martin Luther King Jr. Day, members of the greater Santa Rosa community celebrated the National Day of Service at Paulin Creek Open Space Preserve. 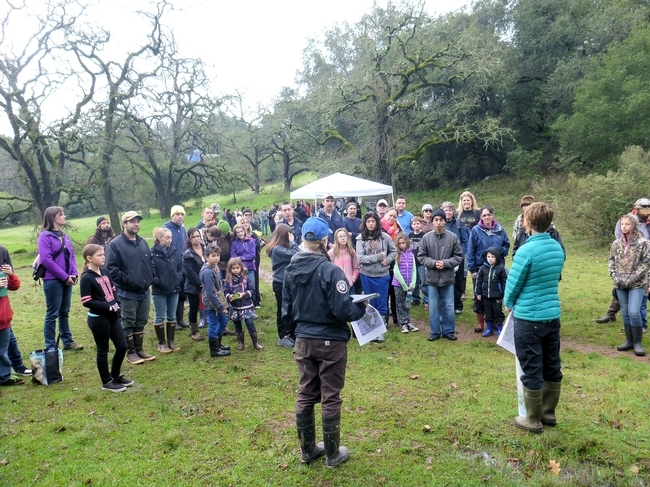 Over 100 volunteers from 4H, local girl scout troops, Youth Connections, AmeriCorps and local neighbors came together to help preserve a critical riparian corridor within urban Santa Rosa. These engaged community members removed invasive French Broom from the preserve and planted native seed. These efforts will help the vegetation return to its natural state, improving wildlife habitat and stream health. In conjunction with Sorrel Allen from the Sonoma County Agricultural Preservation and Open Space District (SCAPOSD), this volunteer event was organized by Troy Cameron and Jenna Dohman, AmeriCorps members from the Watershed Stewards Program serving their term at California Sea Grant. The SCAPOSD has ongoing volunteer efforts to protect and enhance the natural resources in this preserve. The Watershed Stewards Program and SCAPOSD would like to thank all the 4H members that participated in this event, helping to protect natural resources in Sonoma County for future generations. 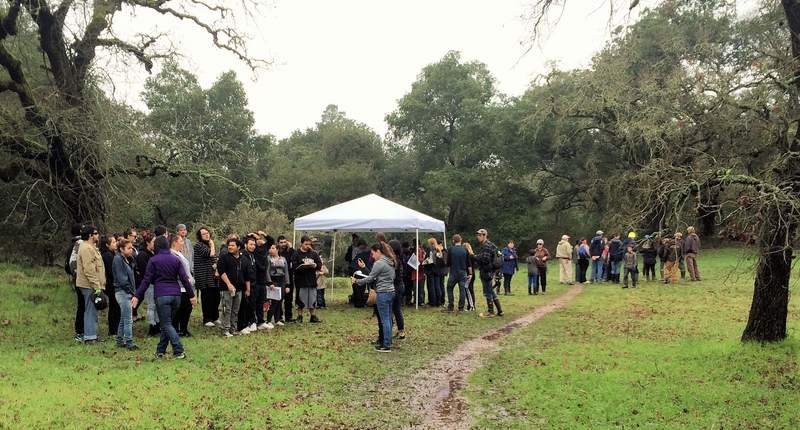 The Sonoma County Agricultural Preservation and Open Space District (SCAPOSD) purchased this land in 2002 when prospective development of two parcels of the land raised public awareness about the property and led to a call for preservation. The Paulin Creek Preserve encompasses 46 acres of land and 9 of those acres are owned by SCAPOSD which are open year-round to the public. Paulin Creek flows through the middle of this preserve. It flows westward into Piner Creek, then Santa Rosa Creek, the Laguna de Santa Rosa, and finally reaches the Russian River before flowing out into the ocean. 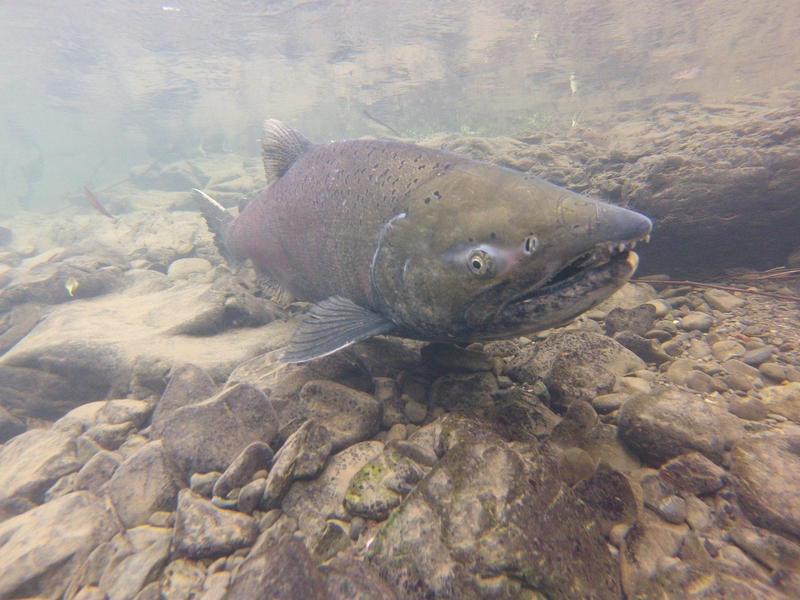 The Russian River is a class 1 fisheries stream as it has threatened and endangered salmonid species including Coho, Chinook, and Steelhead. Specifically, Steelhead have been seen in Paulin Creek, so this habitat is very important for the survival of the species in the Russian River system. The Sonoma County Water Agency also owns a portion of this preserve and on their portion, there is a dam with a flood control reservoir. This holds back water to prevent flooding, but outflows are released throughout the year, so downstream of this dam Paulin Creek has water all year, even through the dry season in the summer. Paulin Creek Open Space Preserve also has diverse vegetation. 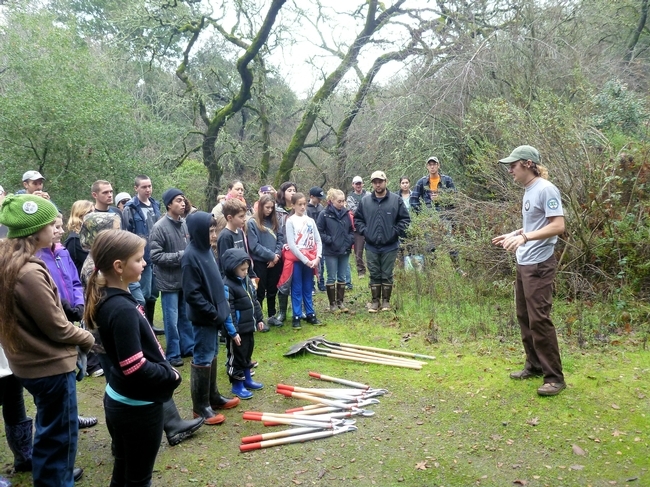 It is home to a number of native plants including mixed grasslands, mixed oak woodlands (bays, coast live oak, Oregon oak, madrone, big leaf maple, buckeye), understory (snowberry, poison oak, native honeysuckle, native blackberry toyon) riparian woodlands and wetlands. There are also invasive plants present including the French Broom that was removed during this event! While invasive plants can sometimes be pretty, they can severely outcompete native plants. Because they are foreign to the landscape, they may not have any natural predators in the area. Native plants might also not have defenses appropriate for this new plant. An invasive plant might be aggressive enough to completely dominate an area of land, which decreases biodiversity. As the invasive plant takes over, it can change food webs in an ecosystem. An animal used to eating the plant life in one area may not get the necessary nutrients from this new invasive plant, causing these animals to move to a new location. Similarly, new species of animals may come to eat this invasive plant. 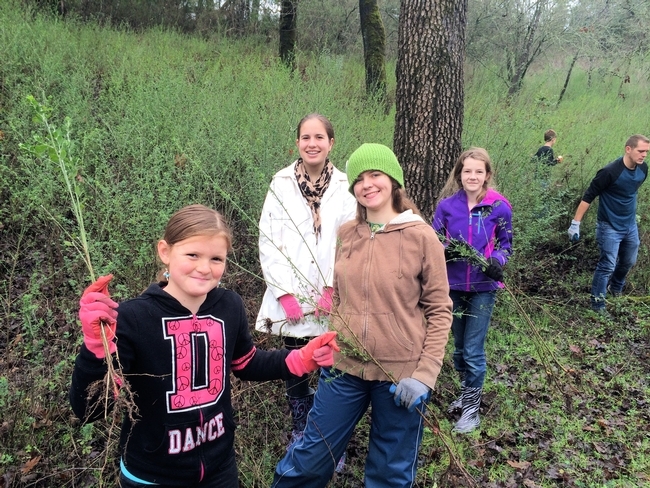 Needless to say, this volunteer effort to remove invasive French Broom will greatly benefit the wildlife habitat on the Paulin Creek Preserve. Thanks again to all the volunteers who took time out of their busy schedules to lend a hand in their community! 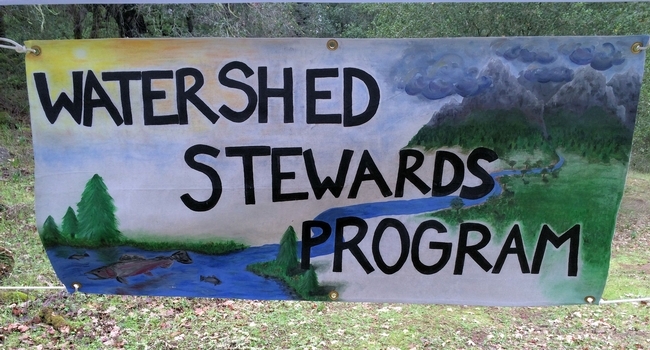 If you are interested in learning more, visit Watershed Stewards Program or find them on Facebook: Americorps Watershed Stewards Project. 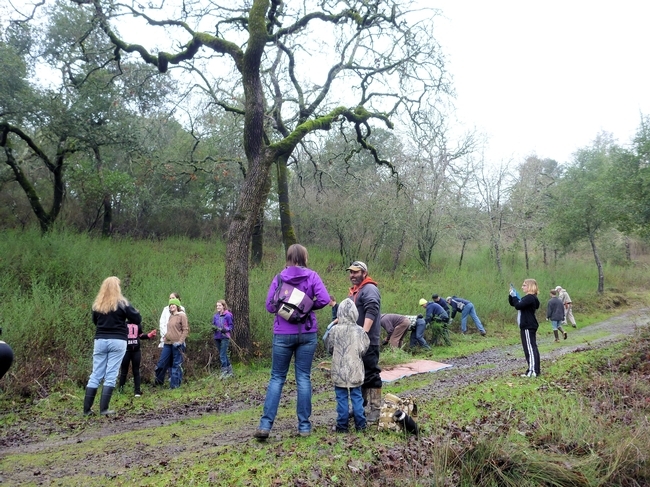 If you would like to hear about future volunteer opportunities please visit Sonoma County Agricultural Preservation and Open Space District, or find them on Facebook: SCAPOSD.